The Great North West is a land of epic elements and a great wet season has set up a classic dry - the perfect time to visit. Many parts of the Great North West have had a record wet season. It means the falls will be in full flow and the gorges will be green with plant life. 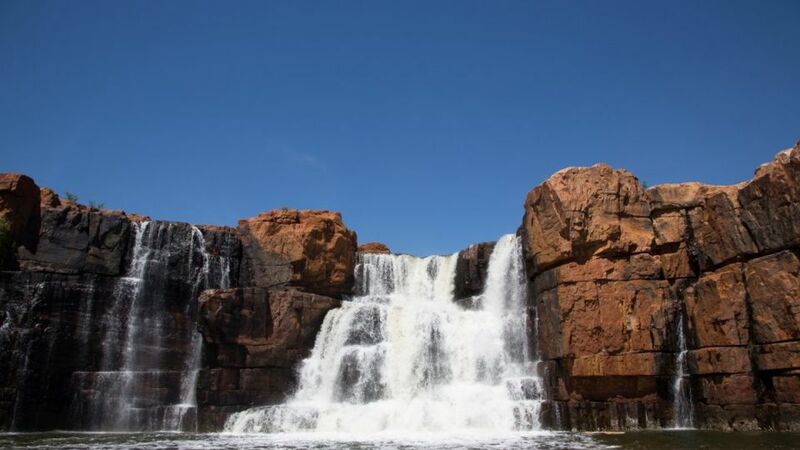 It's the right time to be planning a dry season visit to the Kimberley and the Pilbara which make up the Great North West. These are places to take a deep breath and get close to nature in a vast region that moves at the pace of the planet - and makes you feel human again. Travel Editor Stephen Scourfield has been to the Great North West scores of times over the last 30 years and in this episode of the Travel Club Show he covers all you need to know for planning a visit. You'll also find a 32-page special magazine, Great North West, included in the March 17-18 edition of The Weekend West.